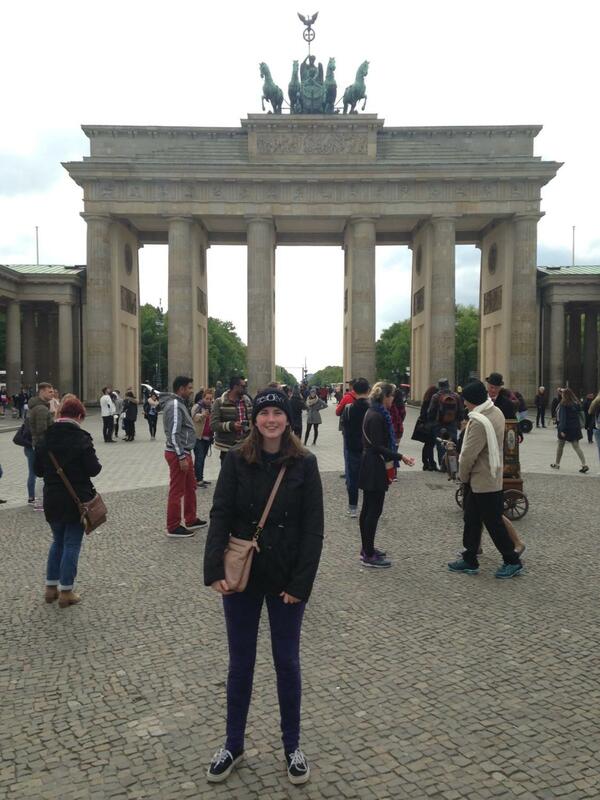 Senior Staff Writer Maggie Koontz stands in front of the Brandenburg gate in Berlin. On the very first day of my writing internship at tbd*, a social business startup in Berlin that connects people with employment resources, I stepped through the door and I was immediately greeted by my bosses and the other employees. They quickly made me comfortable and helped me settle in. There were no formalities or titles there, as everyone introduced themselves and my bosses told me to call them by their first names. This was a stark contrast to what I was initially told during the mandatory program orientation. Most of the preparatory material relied on stereotypes of German companies to educate students about potential cultural differences and conflicts that could arise in the business world. But I quickly realized our preconceived notions of German companies were not necessarily true, especially not for startup companies with younger employees — like the company I worked at. I already knew a lot about Germany’s culture because I am a German major, but the program didn’t require students in Pitt’s International Internship program in Berlin to have prior knowledge about the country or to speak the language. During the presentation, our adviser warned us that the German people are usually cold and formal. They prefer to work on their own and have strict deadlines. When they do speak to you, they communicate clearly and concentrate on the job at hand. Their feedback can be quite sharp at times and there is never any time for small talk. For us students, this seemed boring and a little dismal, but we understood we were there to work during the week and have fun during the weekends. For some interns, this was exactly what their workplace was like. But for others, like me, this wasn’t the case. As I glanced around on my first day at work, I noticed I was dressed more formally than everyone else. In my interview, one of the bosses told me I could wear “normal” clothes, but I wasn’t sure what she meant. I erred on the side of caution and wore slacks with a nice shirt, but the rest of my time working there, I wore casual clothing, like jeans, a T-shirt and a pair of Vans. At first, I was a little worried about fitting in since no one was around my age. Everyone was at least a couple of years older than me and more experienced. During lunch I would sit in the office and eat my sandwich at my desk, but I was quickly invited out to various eateries in the area and my coworkers showed me all of the good places to eat near our office. They engaged me in conversations that were so warm and welcoming that I wondered where the stereotype of them being cold and unfriendly came from. Before starting my internship, I was told that Germans like to keep their office doors closed and work quietly, but my office had an open floor plan. Desks were arranged in clusters and the only walled-off room was the conference room, which they used for meetings or important phone calls, but even it was made out of glass. Everything in the office space was transparent and free of barriers. The clustered desks made it easy to speak with each other and often my coworkers would ask each other questions or exchange important information. The office was usually buzzing with a little background noise — whether that was typing, phone calls or talking. I must have asked my deskmate hundreds of questions during my first week, but my coworkers — and bosses — were always happy to help me. Conversation also extended to people’s personal lives. On Mondays, one of my bosses asked me about my weekend and what I did with the other students. My coworkers suggested places to go and even shared their own plans. A couple of times, they even asked for my opinion about political matters and we had brief but illuminating discussions over sandwiches in the office. For the job-related tasks of my internship, which included writing and translating articles, the orientation’s information was partially true. I spent most of my time working independently. My bosses gave me clear tasks to complete and the deadlines were quick but appropriate. Although I was in charge of making my own schedule, I managed to get all of my work done on time. The company emphasized completing tasks, rather than putting in 40 hours a week at the office. They promoted the idea of a flexible schedule, meaning that instead of coming to the office Friday, I could choose to work from home. One of my bosses often left at noon on Friday and suggested I do the same. I anticipated negative feedback about my work because Germans are known for being critical, but I rarely received any harsh comments. Instead, my bosses offered kind suggestions or advice for the future. If I did something wrong, like posting an article incorrectly, my boss immediately resolved the problem by showing me the correct way. They were understanding and I was always eager to learn new things. Although I didn’t expect any praise based on the information from orientation, my bosses and other coworkers were kind to me. I distinctly remember receiving many emails from my boss with smiley emoticons and plenty of exclamation points. Mostly though, they were grateful and surprised that I seemed so keen on completing tasks. I didn’t feel as if I was doing anything particularly special, but they made it seem as if I was. For me, the stereotypes proved to be false, but I know that for some of the interns in the program — like my roommate — they turned out to be true. Although I would have been fine in a more formal setting, I am so thankful that I was placed with that company. They taught me so much about the culture and people of Germany that I never could have gotten from a textbook. Working at this startup company in Berlin allowed me to publish several articles, learn new skills and practice my German. 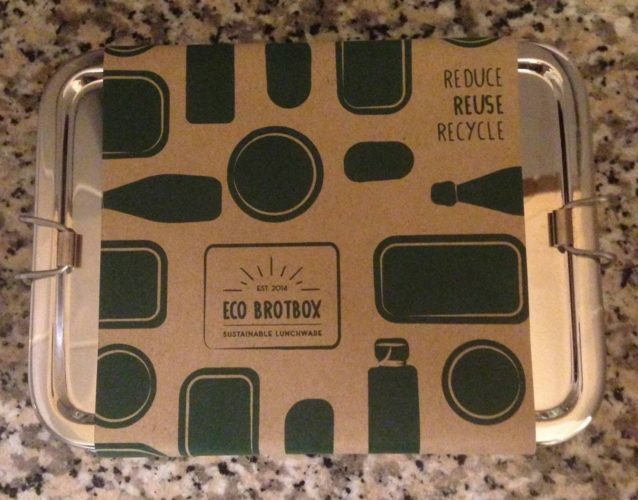 Maggie Koontz’s coworkers gave her this reusable sandwich container on the last day of her internship. On the last day of my internship, my bosses took me out to lunch and presented me with a gift. It was a reusable box made out of metal to commemorate all of the sandwiches I ate in the office with my coworkers. Based on everything I was told before my internship, I never would’ve expected this level of generosity and kindness from a German company — which goes to show you must make your own judgments based on your own experiences, not believe preconceived stereotypes.